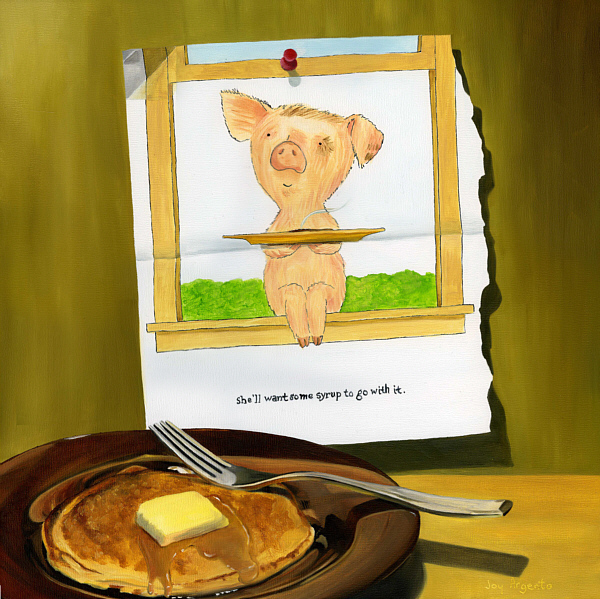 Here is another of my children's book series. 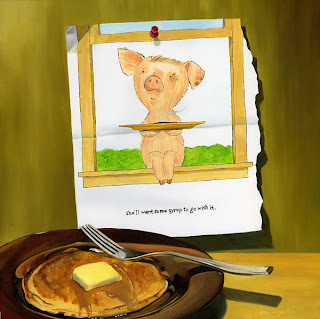 This is based on the book "If You Give a Pig a Pancake". It measures 12x12 and is on a special hardboard that is 3/8" thick and has a special hole in the back so it can be easily hung with or without a frame.